The farm Samuel & Lucy Zimmerman is located in Penn Yan, New York. They are multi-generational farmers who began dairy farming dairy cows in the 1980’s. In 2006, they moved to Penn Yan and their sons gradually took over the dairy farm, which led Sam & Lucy in a new direction. 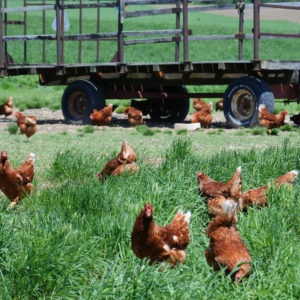 In 2015 they purchased a 15 acre farm and began raising pasture-raised laying hens. Sam splits his time between helping his sons on the dairy farm and tending to his own farmette. In the summer months his daughter, who is a teacher, spends her days helping mom and dad keep up with the daily chores. All members of the family lend a hand. They start their days at about 5:45am, tending to the birds as the hens lay their eggs and feed. 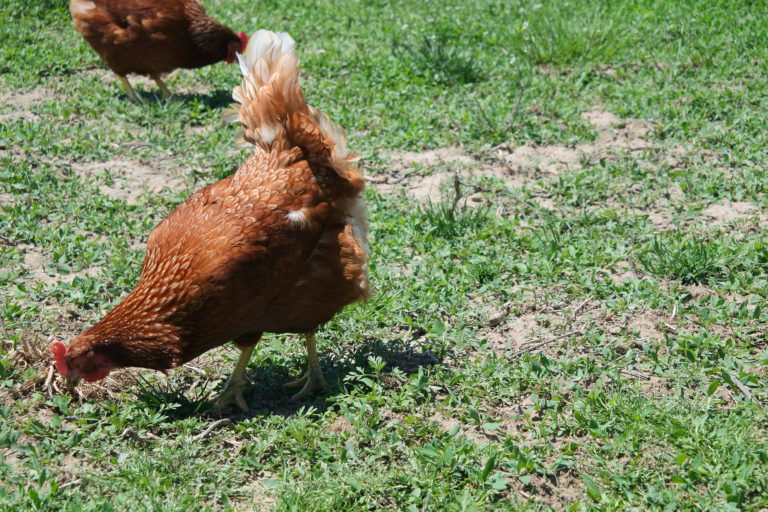 After that, the chickens meander around the pasture or hang out in the shade of a tree or in the chicken house. The day finishes at about 10pm when all the chores have been completed. Sam and Lucy have enjoyed working with Sauder’s because of the very positive experience they’ve had with the Sauder’s field team. 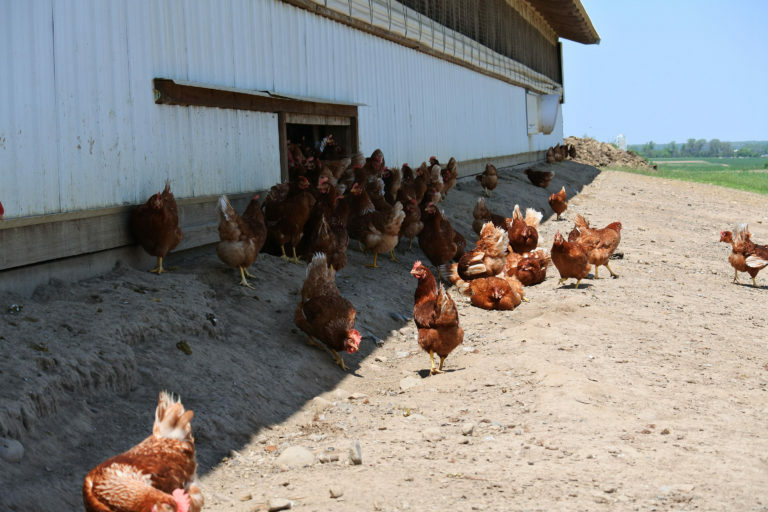 They find it very easy to communicate with them and are appreciative that the Sauder’s team always looks to find mutually beneficial solutions for them and the hens. They also value that Sauder’s has always been true to their word. These chickens are considered pasture-raised. 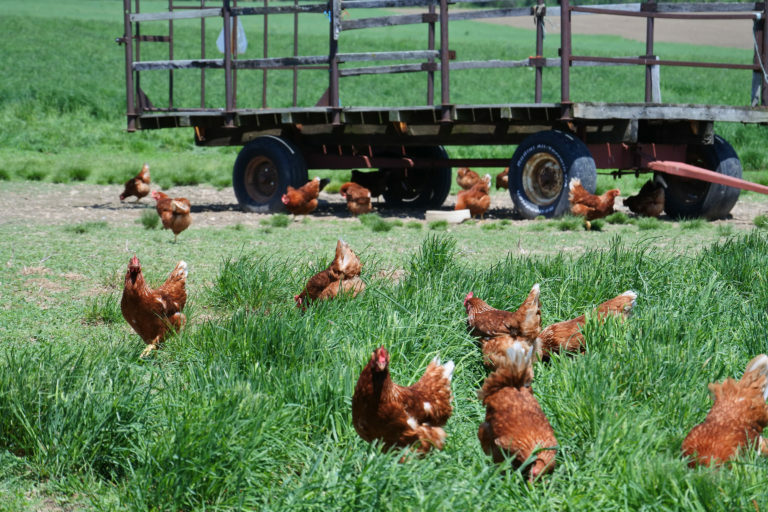 This means that instead of being fed what would probably be a corn-based diet in a cage or cage-free environment, pasture-raised hens enjoy the outdoors as they feed on natural grass, seeds, and insects. 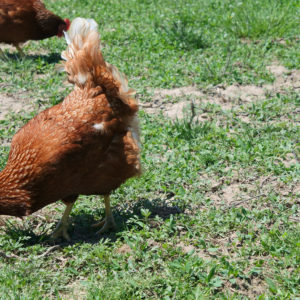 In general, pasture-raised eggs are laid by chickens that enjoy an outdoor lifestyle that’s cleaner and less stressful than alternative environments. 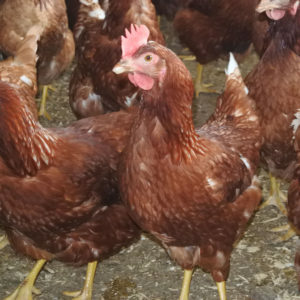 These hens enjoy plenty of fresh air and exposure to the sun. 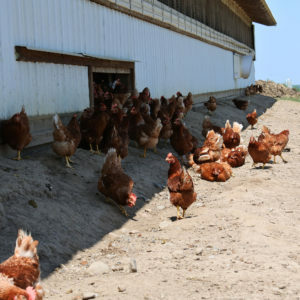 This farm participates in the NPIP program (National Poultry Improvement Plan), which is a national program in collaboration with state and federal departments of agriculture and industry representatives. 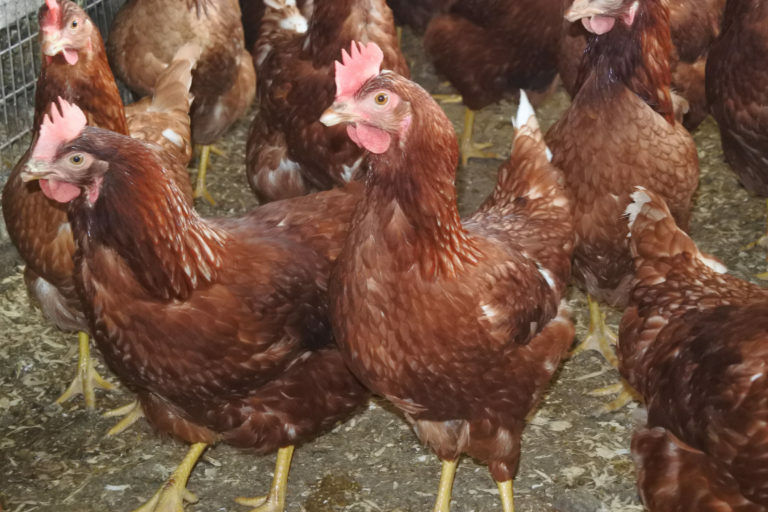 The main objective is to use new diagnostic technology to effectively improve poultry and poultry products throughout the U.S. NPIP provides certification that poultry and poultry products destined for insterstate and international shipments are disease free. 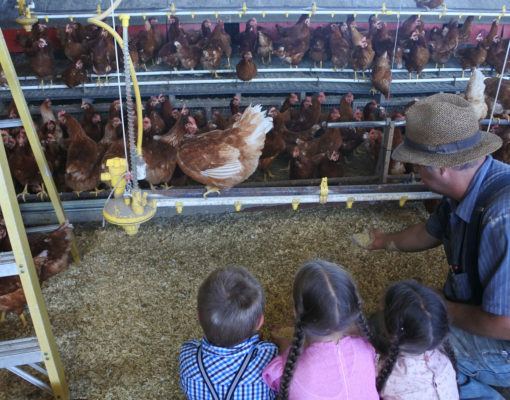 This farm is part of the Pennsylvania Egg Quality Assurance Program (PEQAP), which institutes steps to reduce the risk of Salmonalla Enteritidis (SE) with an effective flock testing and management program. 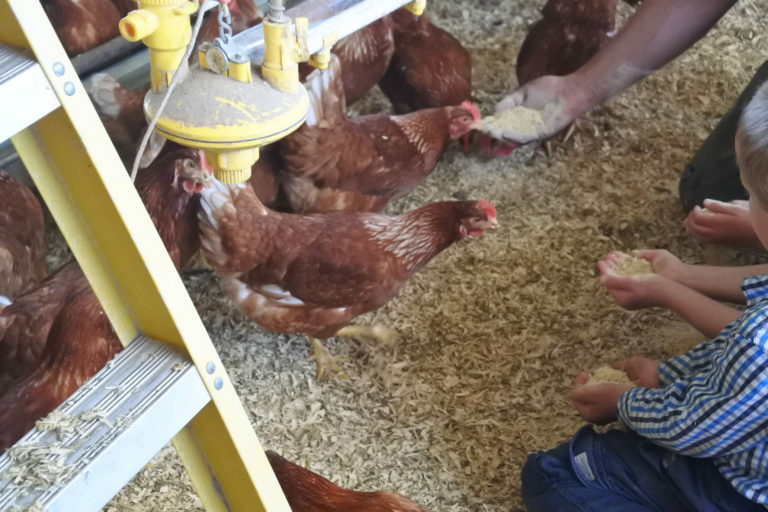 This farm meets the quidelines established by the United Egg Producers (UEP), placing top priority on the comfort, health, and safety of the chickens. 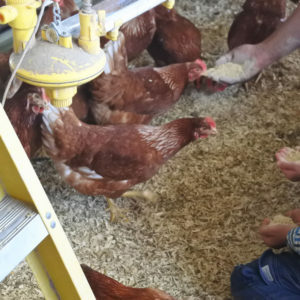 This laying hen farm meets the standards for the Humane Farm Animal Care Program, which ensures that the hens on their farm are provided with a nutritious diet without antibiotics or hormones, and are raised with shelter, resting areas, sufficient space, and the ability to engage in natural behaviors. To read more about pasture-raised, please visit Our Products page of this website.